For anyone who has been following the Sword of Legends project that I was doing last year with Troy Thompson, you might be interested in knowing that Troy and I have decided to release the IGF demo. This game was entered in the 2010 Independent Games Festival at the Game Developer’s Conference, but it didn’t make it into the finalists. It seems that there isn’t a place in IGF for traditional-style games, instead they seem to favor games that are more art nouveau; flashy, edgy, and technically emphasized. Unfortunately, Sword of Legends focuses more on revisiting traditional video game formulas and themes rather than trying to break any new ground. Our rejection in this competition was the last straw of our motivation for continuing this project. After all, a game of this scope would probably take the two of us years to finish and we simply don’t have the time or energy to continue it. We were approached with an offer to have our game published on a Flash game portal, but it wasn’t something that I pursued since the publisher was expecting us to casualify our game. Sword of Legends isn’t meant to be a casual game, but a traditional action-RPG in the vain of the classics that my generation grew up enjoying. Posted by phubans on March 12, 2010 in Sword of Legends and tagged action RPG, adventure, brothers gemini, david newton, fantasy, platformer, RPG, Sword of Legends, troy thompson. Those of you who have scoured the Games section of my website might have come across one of my old games from 2004 called Blasteroid, a mouse-controlled top-down shooter that originally started as a toy for my cat. 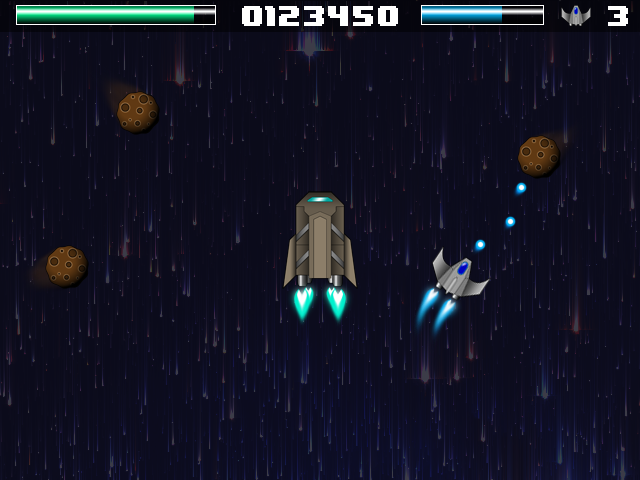 In this game, the player takes control of a starship that is manuevered around the game screen to shoot and deflect oncoming asteroids before they hit the planet Earth. Eventually, the frequency of these asteroids becomes so high that the player is overwhelmed and the planet is destroyed, ending the game. The concept is relatively simple: Protect the planet at all costs, even if it means sacrificing your own ship at times. With financial times being tough, Luke and I have decided to put the Spuck project on hold for March and instead focus on a new project that we hope to complete in one month’s time: Blasteroid Redux. 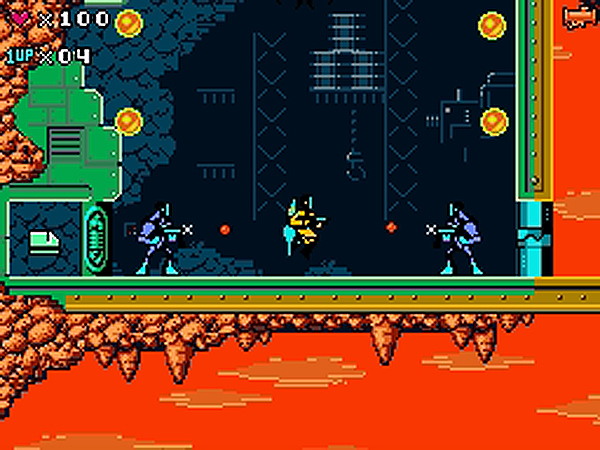 This version of Blasteroid will try to incorporate the simple and unique mechanics of the original game while giving the game a whole new look and feel, with a few new extras thrown in. Once the game is complete, the plan is to auction the game to sponsors and sell it to the highest bidder in hopes of making a few hundred or thousand dollars. The winning sponsor will then feature the game on their Flash game portal website, earning them money through ad revenue. 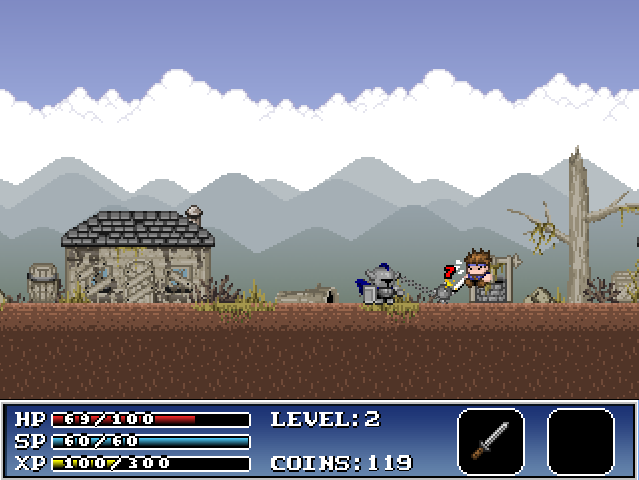 Above is an early mock-up that gives an idea of what the new Blasteroid game will look like. Note that the planet to defend has now been replaced by a “Mothership” craft, which will introduce a few new gameplay elements. We hope to finish Blasteroid Redux by or before the end of March, and then our focus will go back to Spuck. Posted by phubans on March 4, 2010 in Blasteroid Redux and tagged blasteroid, Blasteroid Redux, flash, luke arntson. This year Kokoromi‘s Gamma competition had the highest volume of submissions since they began the competition 4 years ago: 154 entries. Their previous record was 18. On February 17th, Kokoromi sent an email out to all the entrants who didn’t make it in this year’s one-button-game competition. I was among one of the people who received that email, along with all but a small handful of the 150+ indies who entered their games. Although it was disappointing to receive such an email, I couldn’t take it too personally after seeing some of the other entrants that were turned down; many of the failed entries boasted incredible quality. I think it’s safe to say that everyone is looking forward to seeing the finalists of this year’s Gamma competition! Posted by phubans on February 19, 2010 in Spuck and tagged gamma iv, Kokoromi, luke arntson, Spuck. The end of 2009 marked an exciting moment in my life; it was the first time that I got to participate in the development of a commercial game. Previously, my industry experience was limited to QA testing and production assistance, but this time I was doing the graphics for Capcom’s DSi game, Dark Void Zero. Even better, this was no ordinary graphic design job but one that I’m both very familiar with and really enjoy; 8-bit NES style pixel work. While the market for retrostylized throwbacks seems relatively new, I am hopeful that this trend will continue. Posted by phubans on February 18, 2010 in Dark Void Zero and tagged Capcom, Dark Void Zero, DSi, Graphics, NES, Other Ocean. Lampoon the industry: This one is similar to the above: A friend of a friend in the gaming industry had the strangest business cards for the GDC convention. 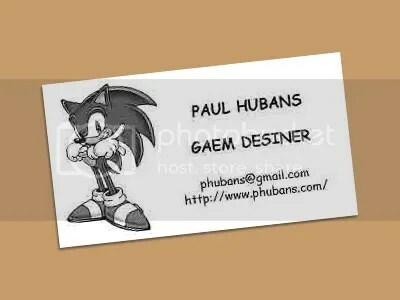 He had previously worked at Sega Interactive and included their famous Sonic the Hedgehog brand character on the card. His title was “Gaem Desiner”. His business cards? Printed on regular paper and cut out with scissors. This stood out from the crowd in a bad way (he got lots of looks), but it was also remarkable. You can’t please everyone… but he sure did please and make it memorable for the people who liked it. I plan to use the same cards this year when I go to GDC, so hopefully they will still turn heads and if not invoke a sense of curiosity, at least get a few laughs. Posted by phubans on February 10, 2010 in Uncategorized. Spuck submitted to Gamma IV! For the past month or so I’ve been working on Spuck, my first casual game, which is being programmed in Flash by Luke Arntson. Since Spuck is a one-button game, we decided it would be an ideal candidate for Gamma IV’s one-button-game competition, so we entered it into the competition last Sunday. 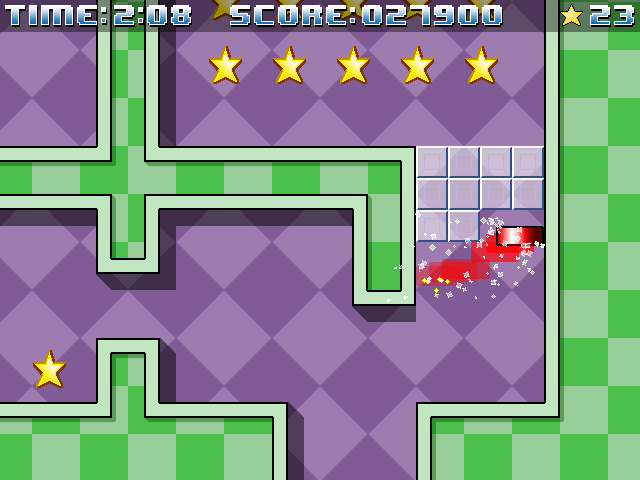 Spuck is a platformer inspired by games like Super Mario Bros, Arkanoid, and the traditional game of pinball. 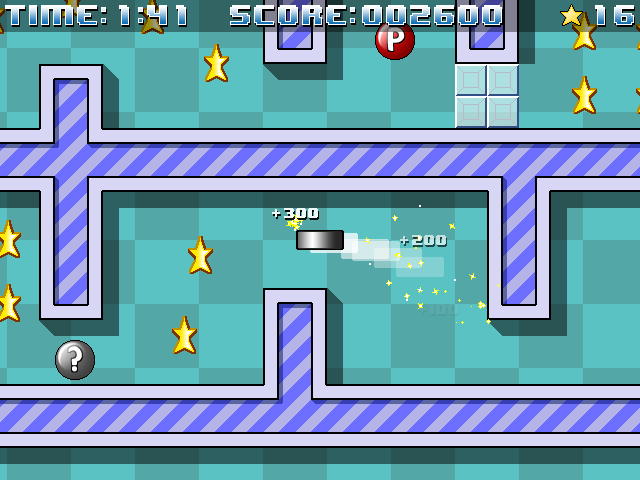 In Spuck, the player takes control of a speeding disk, similar to a hockey puck, that slides across the floor and bounces off of walls. The player’s only input is one button, which allows the disk to jump. The game is all about timing and quick reflexes, as the player moves through each level collecting stars and trying to get combos and bonuses. Regardless of how the game fares in the competition, I think we’ve already laid out the groundwork for a solid and addictive casual game that we hope to eventually market to the iPhone. Posted by phubans on February 4, 2010 in Spuck and tagged flash, gamma iv, luke arntson, Spuck. I will be using this blog to post updates on my projects in development. Posted by phubans on January 19, 2010 in Uncategorized.